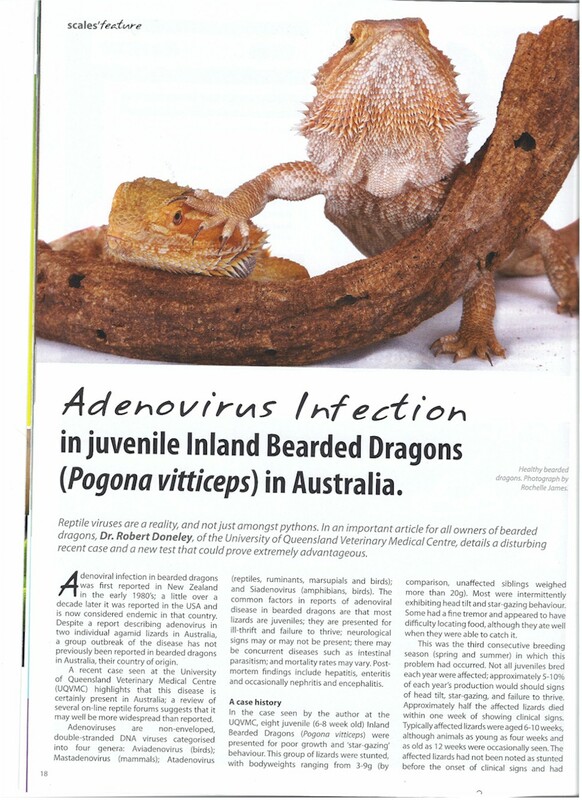 Atadenovirus is a contagious disease that can cause serious illness in bearded dragons. Older literature refers to it as adenovirus. It may also be known as "wasting disease" and "stargazing" disease, among other terms. 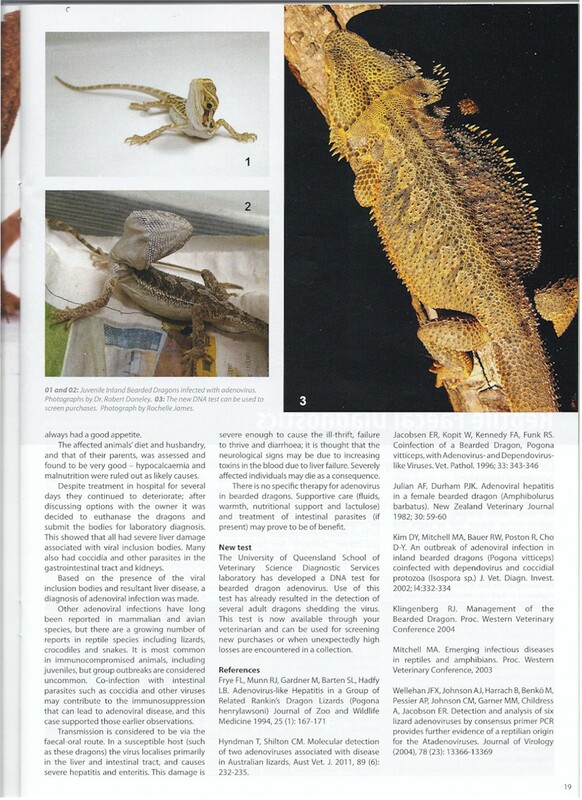 Unfortunately, this virus is very common in bearded dragon (Pogona vitticeps)collections and can be fatal.